Successful Children Who Lost A Parent — Why Are There So Many Of Them? : Krulwich Wonders... Writer Malcolm Gladwell calls them "eminent orphans" — an intriguingly large number of successful politicians, statesmen, poets, scientists who lost a parent when they were young. Why the pattern? Is it just coincidence? Or is it something more? She was 9 when it happened. She says she was at school, in the school yard at recess, standing by the fence, when a thought passed through her "like the barest shadow of a mood." All of a sudden, and for no clear reason, she found herself thinking of her "Papi," her father, who'd been drunk, self-destructive and difficult for as long as she could remember. 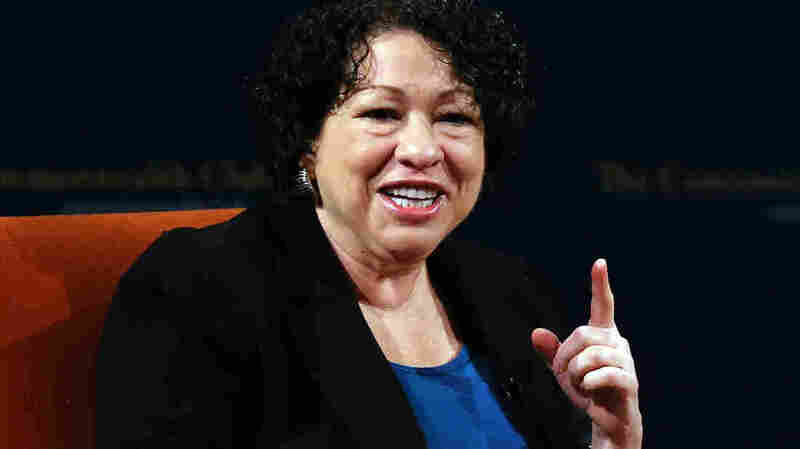 It turns out, Supreme Court Justice Sonia Sotomayor found out later, that as she was having that thought, her Papi, lying in a nearby Bronx hospital, was dying. He died that same afternoon. "Deep down," she writes in her autobiography, "I'd known for awhile that this is where Papi was heading." Drink killed him, and perhaps, the hint of him in her head was his "saying goodbye." When she got home, she says she "ran down the hall and threw myself on the bed. I was sobbing, pounding my fists, when [her aunt] entered the room. 'Sonia, you have to be a big girl now. You have to be strong ... ' " For her, that was a turning point. Without a father, with a mother numb from grief, she writes, "the only way I'd survive was to do it myself." There's a similar story in The New York Times this week. This one is about Bill de Blasio, now running to be mayor of New York City. His father, Warren Wilhelm, was also an alcoholic, also difficult. 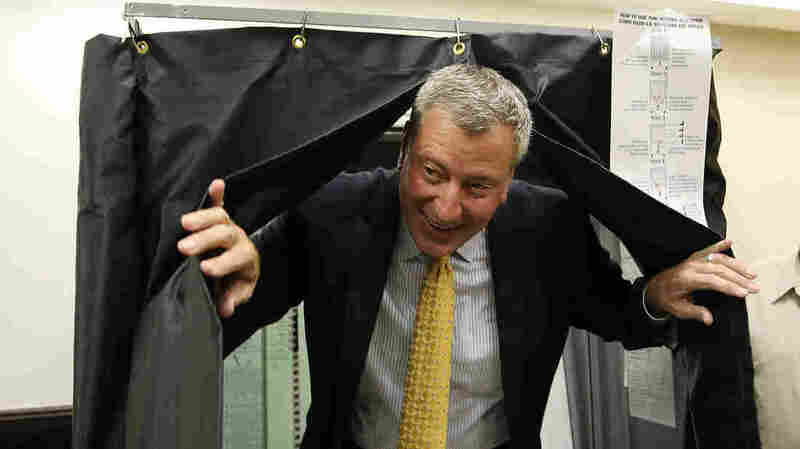 From him, de Blasio says, "I learned what not to do." His father was constantly drunk, often angry. The two didn't get along. When Bill graduated high school he changed his last name from Wilhelm to de Blasio-Wilhelm, to honor his mother's side of the family. Then, when his dad killed himself at a motel in Connecticut (Bill was 18), Bill dropped his dad's name entirely. Losing a parent is one of the most devastating things that can happen to a child. The world goes topsy-turvy. The psychologist Felix Brown reports that prisoners are two to three times more likely to have lost a parent in childhood than the population as a whole. But for some people, Malcolm Gladwell points out in his new book, the death of a mother or father is a spur, a propellant that sends them catapulting into life. Because they are on their own, they are forced to persist, to invent, to chart their own way — into a curious category Gladwell dubs "eminent orphans." There are, he reports, a lot of them. Historian Lucille Iremonger discovered that 67 percent of British prime ministers from the start of the 19th century to the start of World War II lost a parent before the age of 16. Twelve presidents — George Washington, Thomas Jefferson, James Monroe, Andrew Jackson, Andrew Johnson, Rutherford Hayes, James Garfield, Grover Cleveland, Herbert Hoover, Gerald Ford, Bill Clinton and Barack Obama — lost their fathers while they were young. A psychologist, Marvin Eisenstadt, poured through a number of major encyclopedias, looking for people whose biographies "merited more than one column" — and of 573 people, Gladwell reports, "a quarter had lost at least one parent before the age of 10. By age 15, 34.5 percent had had at least one parent die, and by the age of 20, 45 percent. Even for the years before the 20th century, when life expectancy due to illness and accidents and warfare was much lower than it is today, those are astonishing numbers." Gladwell doesn't come out and say that losing a parent early increases one's chances of success later. But in study after study, among those who have succeeded, the incidence of "eminent orphans" is oddly high. The correlation shows up for scientists here and here. It shows up in a study of "father absence" among eminent poets here. This is a touchy subject. Nobody wants to say that catastrophe is a career booster; common sense says the opposite, that children with intact families get more love, protection and support, which ought to be an advantage later on. But it's also true that kids with missing parents need extra muscles, grit and self reliance — also ingredients for success. The surprise here is the proportion of highly successful people who lost a parent early. Their achievements, of course, may have little or nothing to do with how many parents they had at home, but looking through Gladwell's footnotes, it is puzzling to see so many of them at the top of their professions. This suggests, ever so slightly, that pain trumps love at the start of the race. That's a notion that makes me wince. Is later eminence worth such a price? Because the price is high. Gladwell ends his book with a short sketch of a remarkable French war hero, Andre Trocme, who refused to turn Jewish refugees over to the Nazis during the occupation, who defied them openly, to their faces, even when he was under arrest. His refusal to lie, to back down, to even bend a little is a puzzle, but Gladwell offers this hint of explanation. When Trocme was 10 years old, he was in a car accident. His father drove too fast, the car spun out of control and his mother was thrown through the air and landed, lifeless, 30 feet from the wreckage. Andre saw the body and suffered a hurt so great, the pain, the unfairness of it all, gave him a dark, almost black courage. He had seen the worst. After that, nothing frightened him. "If I have been a fatalist, and have been a pessimistic child who awaits death every day, and who almost seeks it out, if I have opened myself slowly and late to happiness, and if I am still a somber man, incapable of laughing whole-heartedly, if it's because you left me that June 24th upon that road. "But if I have believed in eternal realities ... if I have thrust myself toward them, it is also because I was alone, because you were no longer there to be my God, to fill my heart with your abundant and dominating life." Parents, we all know, can hurt. But losing them hurts more. The hurt is there. It's how we handle it that makes the difference.